Stage wagon, 1805. 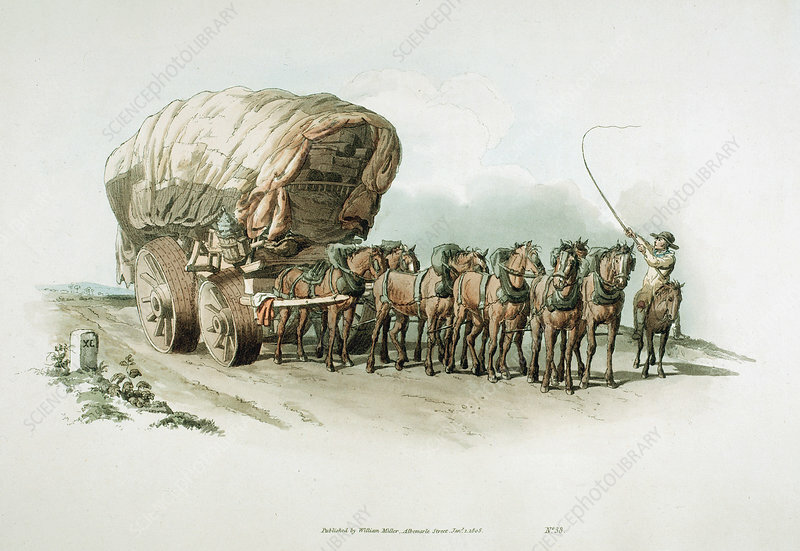 A large heavily-laden wagon pulled by a team of 8 horses passing a milestone. The wagon has wide roller wheels designed to give a smoother passage over difficult roads and, supposedly, to damage the road surface less. From The Costume of Great Britain by William Henry Pyne. Artist: William Henry Pyne.